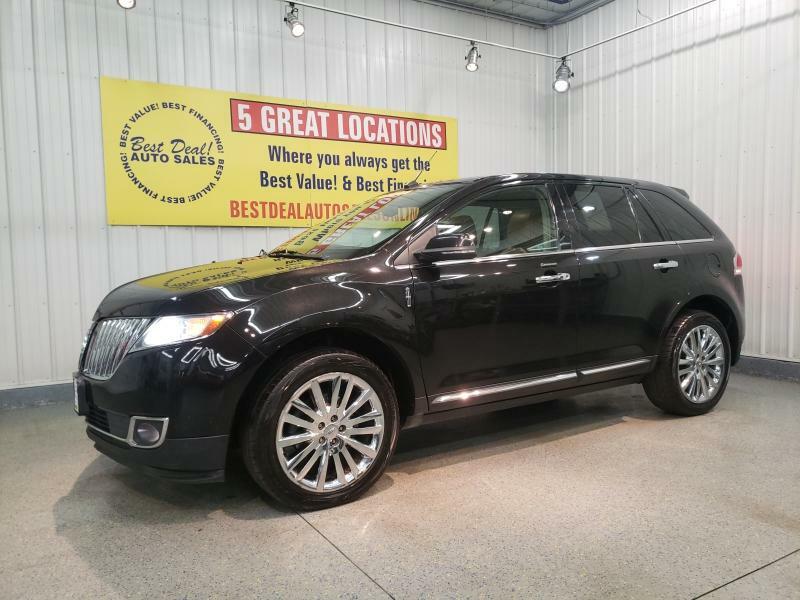 Black with Black and Tan Interior 2013 Lincoln MKX! Remote Start with Keyless Ignition, Power Tilt/Telescopic and Heated Steering Wheel, Panoramic Power Sun Roof, Large Screen Rear Back-Up Camera, THX Premium Audio with Aux. Input and USB, Heated/Cooling, Leather Seating, Power Hatch, Tow Package, Lane Departure System, 20" Premium Wheels, Rear Spoiler, and More! Stop by or give us a call today! 260-482-8899. Family owned and operated since 1999 and still going strong!